Get Your Bundt Cake Renewal Design Here! 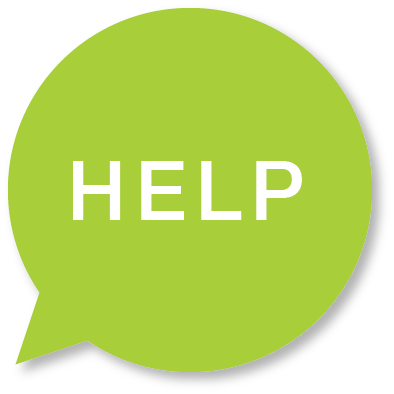 Are you dreading sending out renewal letters because they include rent increases? The best way to handle rent increases is to talk them through with your residents, and provide cake! Rent increases go over much smoother when you can explain to them the improvements that have been made or compare market rates. 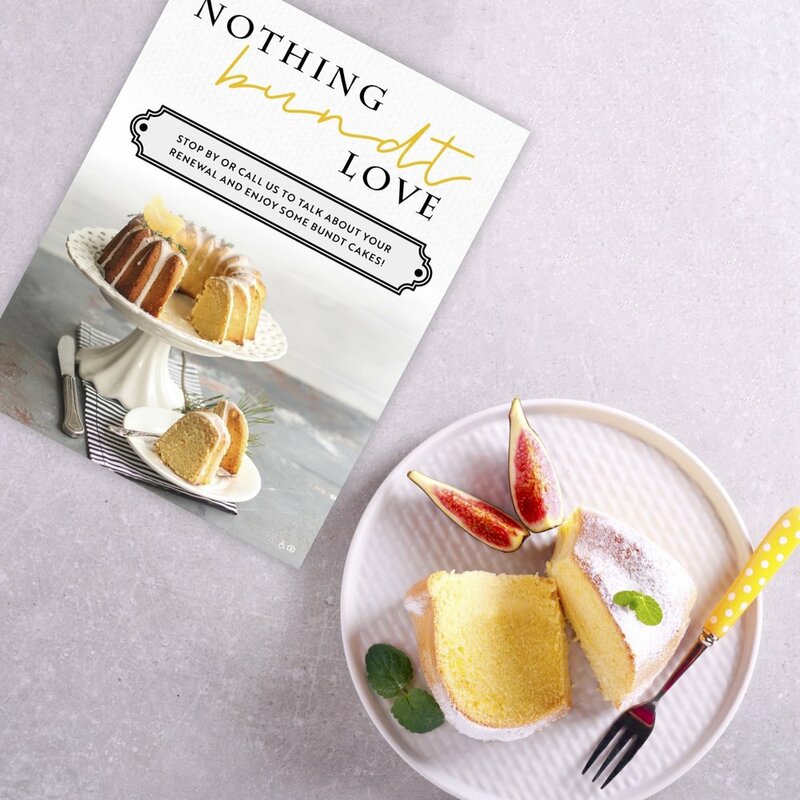 Rather than make it a dreaded conversation, serve them up a slice of cake and sit down for a chat. Don’t dread renewal conversations, prepare for them! 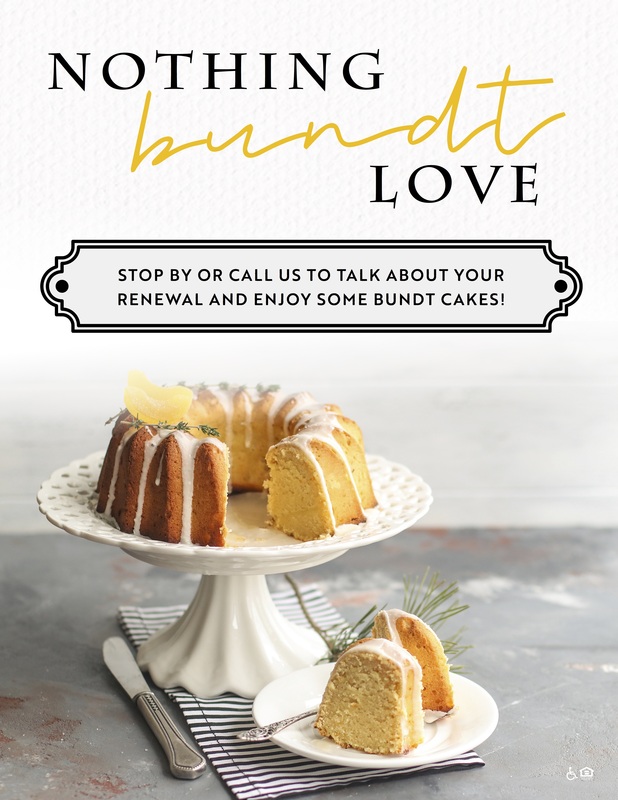 Download your “Nothing Bundt Love” Renewal notice. Option: Want to choose another renewal design? Search RENEWALS here. Pair your renewal note with a bright balloon and post on the doors of your “up-for-renewal” residents. Buy a few large bundt cakes or mini cakes. Here are a couple other digital graphics you can post on social media!